March, despite your dramatic mud-stained footprints and temperamental atmosphere, I'm elated that you've we've made it this far (I dreamed of you for months!). Send your most melancholy, weeping icicles to drip down my now woolen scarf-free neck and toss out all the esoteric, deceptively deep puddles you can summon; I will still find you super-adorbs. Hello, everyone! Apologies for not posting for a while. As you can see from the rather amateur-ish photos, I'm still trying to acclimate to a new camera - most of the time I resort to using my iPad (which is unbearably clunky and awkward). Also, I've been away for a few weeks and for some reason my baking prowess takes a nosedive as soon as I'm away from my own kitchen. Also, Tom Hiddleston happened. 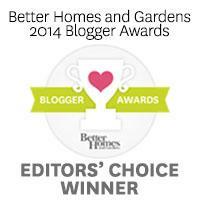 Oh, and this; Better Homes and Gardens Award Winners! Position a rack in the lower third of oven. Preheat to 325 F. Line an 8x8-inch square pan with foil - lightly butter or spray foil. Prepare a double boiler: Fill a medium saucepan with about 1-inch of water and bring the water to a slow simmer. Find a large heatproof bowl that fits snugly over the saucepan (make sure the bottom of the bowl does not touch simmering water). Place the butter, sugar, cocoa powder, and salt into large bowl place bowl over pot of simmering water. Cook, stirring occasionally, until the butter is melted and mixture is somewhat smooth (it will most likely be gritty). Remove bowl off heat and set aside until warm to the touch. Using a large wooden spoon or spatula, stir in vanilla. Add eggs, one at a time, stirring well after each addition. After final egg has been incorporated, give the batter several vigorous stirs - it should be thick and shiny at this point. Add the flour, paprika, and chopped ginger, stir until well combined and flour streaks have disappeared. Spread batter evenly into lined pan. Bake 25-30 minutes or until a thin skewer inserted through the center comes out with only a few moist crumbs. Remove pan from oven and place onto a cooling rack. Cool completely before enjoying. A rich cocoa brownie is just what I need right now; I adore the kick of paprika. Perfect way to welcome the sun :). Editor'' choice? I am SO proud of you! What a prestigious award! And I'm loving the idea of ginger in these brownies. Swoon. Okay - now I need a brownie! Just wish I could pluck yours from the screen - they look divine! Congratulations on your win, Valerie --- you so deserve it! What a fabulous flavor combination! Those Brownies must be divine. I have been looking for a ginger type snack cake.. yours is even better with chocolate! What a beautiful site you have, congrats on editors choice! Love the flavor combination in these brownies. squee! congrats to you darling, how exciting. i bought dw a new camera, a p/s recently and i thought of you. i should've reached out and asked for your opinion. 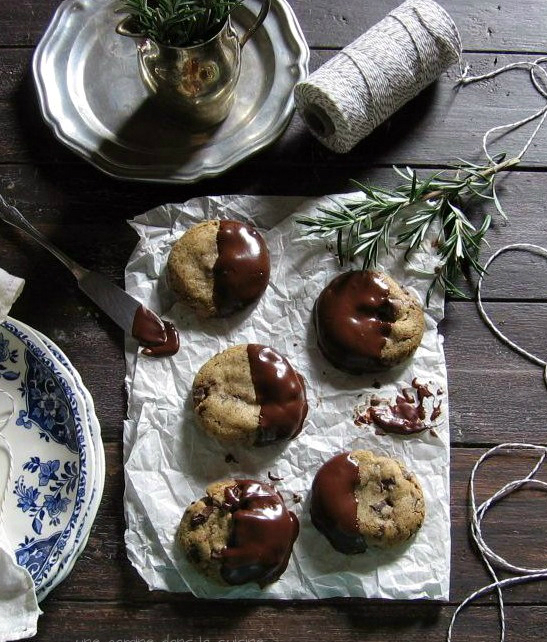 anyway, these look divine, i have really taken a liking to the chocolate + ginger combo. PS. i forgot to mention: Tom Hiddleston. oh he got you too, did he. that man. gawd he makes me quiver. I love all of your ginger and chocolate desserts. Congrats on the award, you truly deserve it! Congrats Valerie on the win! Tom Hiddleston and ginger brownies are some of my favorites too. congrats :) brownies are definitely way to celebrate!!! congratulations on being editor's pick!!! that is so awesome! and these brownies are awesome, I love love love the paprika - definitely trying these soon! love these brownies look awesome!! Do you add the sugar with the cocoa and butter? I want to try these for my gals at card night next week! Thanks for all your great recipes. Yes, bring on the warmer weather. This snow and cold needs to say its good bye. Soon you'll be a pro photographer. It's rocky at first, but I have no doubt you'll get the hang of it. These brownies look amazing. Love the addition of ginger. Tried making these, but the butter separated out during baking and they turned out dry. Any idea as to what went wrong?